In Central Pennsylvania, you find three bean salad just about everywhere. From picnics to barbecues, and just just about every salad in the industry. Furmano's uses fresh, in-season green beans when we make our three and four bean salad. This preserves the taste and texture and gives you a quality you're not going to find anywhere else. We never use a frozen bean in our products. We top that with a beautiful sweet and sour dressing; sweet and sour is a flavorful combination that transcends cultures and cuisines throughout the world. So we're going to take that idea, and adding some other flavors to really bump that up, with our three bean antipasto here. So we're going to start off by chopping up some salami, pepperoni, and sharp provolone cheese. We're trying to cut those about the same size as the green beans to really make that salad pop whenever you put it together. We're going add these to our three bean salad. Along with some artichokes and briny Kalamata olives. We're going to give this a quick toss, allow that sweet and sour marinade to fully envelope that meat. Those salty ingredients we've just added to this are going to balance out that sweet and sour - it really makes this dish pops. You can also do this other recipes on our website like our three being twists, which takes the three bean salad and mixes it just with some rotini pasta and some cheddar cheese, or like our Mediterranean four bean salad where we add sundried tomatoes and feta cheese using that dressing in the same manner. So take our bean salads, add your own signature, and have fun! Use Furmano's three bean salad to create savory recipes, like this three bean antipasto salad! Watch this video and follow Chef Paul's instructions to whip up a delicious side dish, perfect for serving at your next event. There's nothing quite like the wholesome taste of beans to bring home-style meals to the table, and this Furmano's four bean salad is the perfect mix of popularly loved beans-green beans, wax beans, red kidney beans, and chickpeas! This flavorful blend is enhanced with diced onion and diced red bell pepper. 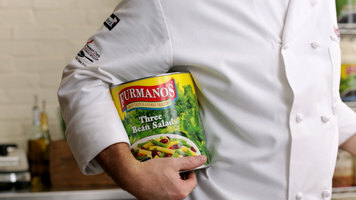 A brand with over 90 years of producing fresh, top-quality products, Furmano's is a grower-owned company carrying on a lasting tradition to pack each can full of beans with consistent, nourishing flavor that won't disappoint! Rich in red, green, and yellow colors, this salad is sure to be a hit at your salad bar, restaurant, or catered event. Red kidney beans feature a traditional bean shape and hearty texture. The slightly nutty hint of chickpeas pairs well with refreshing green beans and smooth wax beans. These beans may be served alone as their own vegetable medley, or they can be served over rice. Great for cooking, this four bean salad can also be blended into soups. Enhance any salad bar with these beans, or include them in signature pasta dishes. Not only bursting with flavor, this four bean salad also has nutritional benefits. A rich source of protein and iron, they're also fat and cholesterol free. 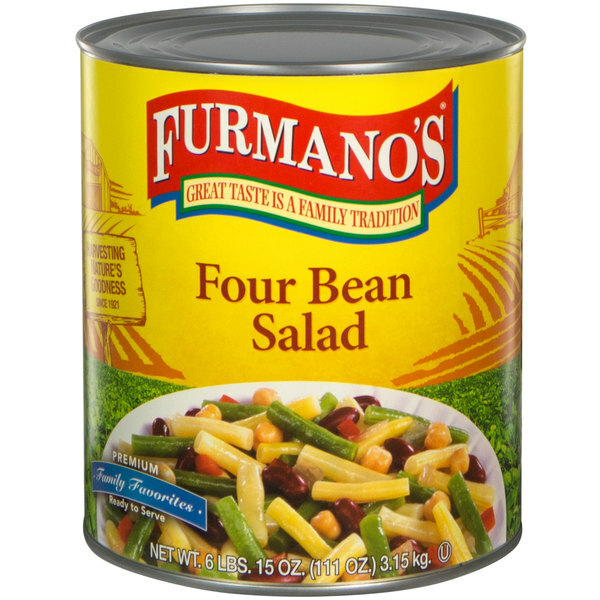 Furmano's four bean salad has an additional benefit-they are ready to heat and serve straight from their generously-sized #10 can. An easier, quicker alternative to cooking dry beans allows for an increase in productive, fantastic service to your guests! The Furmano's four bean salad is terrific and very eye appealing. A great side dish to serve with our BBQ. The beans are well packaged and taste great straight out of the can. Love the bright colors that make up the four bean salad. They are very pretty and make for colorful side dishes. The beans are tender and their taste is great. We do add some seasonings to enhance the flavor. A nice Furmano's four bean salad with great quality ingredients. The beans are very pretty and make a colorful looking side dish for picnics and parties. What a wonderful tasting and looking four bean salad that is always a hit at our catering events. The four bean salad is bold and delicious and so easy to prepare. The four bean salad is colorful and makes a quick and easy side dish for our catering events. The four bean salad is well seasoned and packaged in a great tasting brine. Love the no prep. The four bean salad taste great and makes a wonderful side dish for our community picnic. The salad taste great and I love all the different colors. It is a crowd pleaser for sure. Very good salad. This is also a very good buy. I had been buying bean salad in small cans and it is expensive. Also it keeps well in refridgerator at least several weeks because of vinegar. The four bean salad makes our prep job a lot easier. The beans are colorful and very flavorful. We simply open and drain of the juice, and then we mix with our dressing. A great an easy side dish. Pot Luck favorite. Texture of the beans not overcooked nor too crunchy or hard. Everybody goes back for seconds. Dressing is sweet but not too sweet. This is a good bean mixture. This can be enjoyed as it is or added to savory salads. It is also good topped over rice. I took some of these to a family picnic, and everyone thought I made it myself. It was a excellant taste, and no preparation was needed. This is actually a great can of beans! Furmano's does it right with this pachage! We use this for a good amount of our salads. This four bean salad taste great alone or add to it yourself. I use it alot when catering and everyone like it. it really goes. 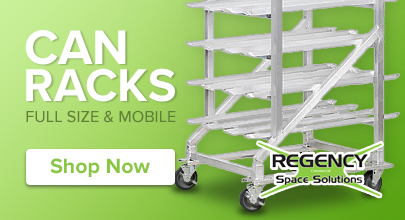 This is a really great product for a really great price! You simply cannot beat it! I love the convenience of this product, just open a can and go! Great bean salad! Great price! Easy to open can! Great tasting mix! Good for salads! Good for soups! Good for a foundation for small appetizers!